I have not seen quality wedding photography without good portraits. And I have not seen good quality portraits without suitable lenses for them. Even if you are not specialized wedding photographer, as the main wedding photographer, you will need a certain amount of knowledge and practice until you can get the necessary equipment and routine. Always a major part of knowledge they will need are associated with glass that you use. Here is comes to mention the main brighter and solid 50 mm and 85 mm. 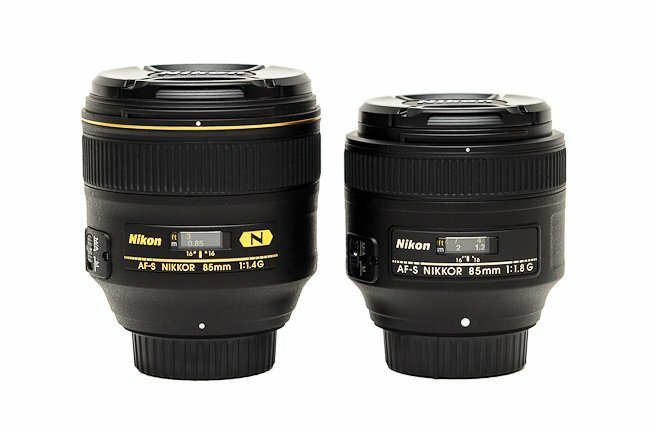 These lenses are made from all brands and almost everyone that if you decide to shoot portraits not collide with them. I do not intend to stop and delve into specific technical characteristics. Rather, I would like to say precisely why these lenses are essential in portraits and the most important differences between them. First hard lenses generally are substantially more severe, because they lack many of the moving parts, which are characteristic of zoom-a. Fixing the basic lens makes it possible to fine focus depend on fewer elements and improves autofocus. Even in manual focus, sharpness is usually quite noticeable compared with a standard lens. Also, these lenses are brighter, which means that the aperture in the different versions can come down to 1.8; 1.4; 1.2. On the one hand this makes it possible to shoot in natural light much more flexible, able to transmit high-quality images even in low light without flash, as light cast through an opening in the wall, behind curtains, etc. and reduces the noise in the final image, as it allows to shoot at lower ISO. On the other hand the depth of field in these blends (1.8; 1.4; 1.2) is very small. You can give focus only on the eyes, for example, making the rest of the face to go in defokus etc. This creates a very gentle effect that looks great for bridal portrait for example. It should be noted that the difference between 1,8 and 1,4 is substantially greater. Better quality, respectively more expensive lenses are usually Aperture 1.4, and even some of the 1.2. This allows a truly unique compression focal field in a depth of only a few millimeters, respectively, while maintaining the sharpness of focus in an almost perfectly level. Also not a small difference between 50 and 85 mm. Compression background differs significantly between the two lens using them in the same body and technology. Should note the difference in the two focal lengths respectively Crop and full-frame. All hard lenses generally have a focal length calculated for full-frame sensor (35 mm). This would mean that 50 mm full-frame have 50mm but Kropp sensor, this distance is 75 mm, making it more closer to 85 rather than 50. This may be more convenient than to mm lens you if you shoot with the camera Kropp. For the simple reason that weddings often need to be shot from a short distance. You never know where you will need to shoot a portrait. Putting 85 mm lens Kropp body actually go over 127 mm real focal length, which can be a challenge if you have to shoot in a room by two-meter distance to the bride for example. On the other side, but this is my personal opinion … of Pul-frame body 50 millimeter lens fails to create the necessary I think compression background. And maybe you’ll find somehow halfway, if you decide to do close focus portraits, even if it is 1.4. So perhaps if you’re shooting with full-frame sensor, you are likely to find 85 mm for quite satisfactory. Of course, no exact certainty what a person likes and dislikes. 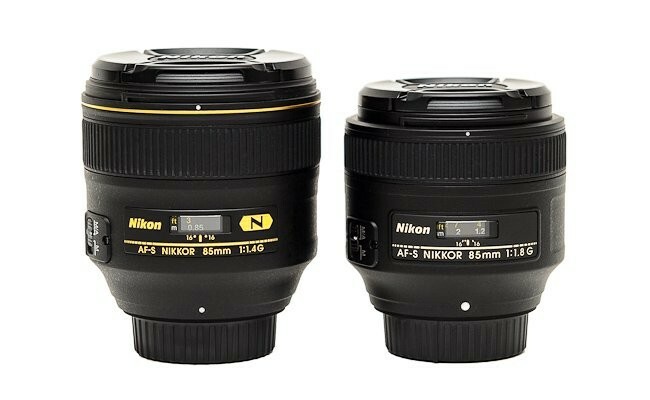 Nevertheless, at least in this category lenses you pretty well to navigate and price. The difference between 1.4 and 50 mm 85 mm 1.4 is 1500 levs. As someone who has photographed with all the mentioned lenses, I dare say that 85 mm 1.4 is the preferred choice of doing my portraits. Sharpness is remarkable and unique the color rendering.